Reviewing restaurants in Bozeman, Montana from Ale Works to Zydeco. 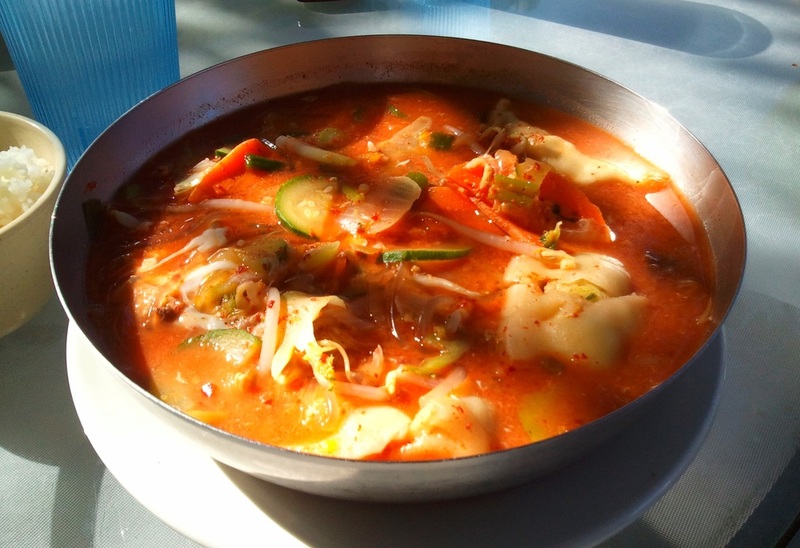 The Chicken Man-Du-Guk at I-Ho’s Korean Grill could be called the Kitchen Sink Soup—it has it all! It is served in a huge steaming bowl, loaded with vegetables: bean sprouts, zucchini, carrots, onion, cabbage, scallions and sweet potato noodles. The broth is made of oxtail with the addition of red pepper powder to give it spiciness. The best part of the soup is the “man-du”. These large, Asian-style dumplings are, according to the menu, handmade with a chicken-based filling. Coated with the red soup, they are delicious. All of this comes with a side of steamed white rice. Unfortunately this soup is expensive: $13, but it’s certainly makes a healthy and hearty meal. Taste of Bozeman is not affiliated with the Bite of Bozeman or the Sweet Pea Festival.